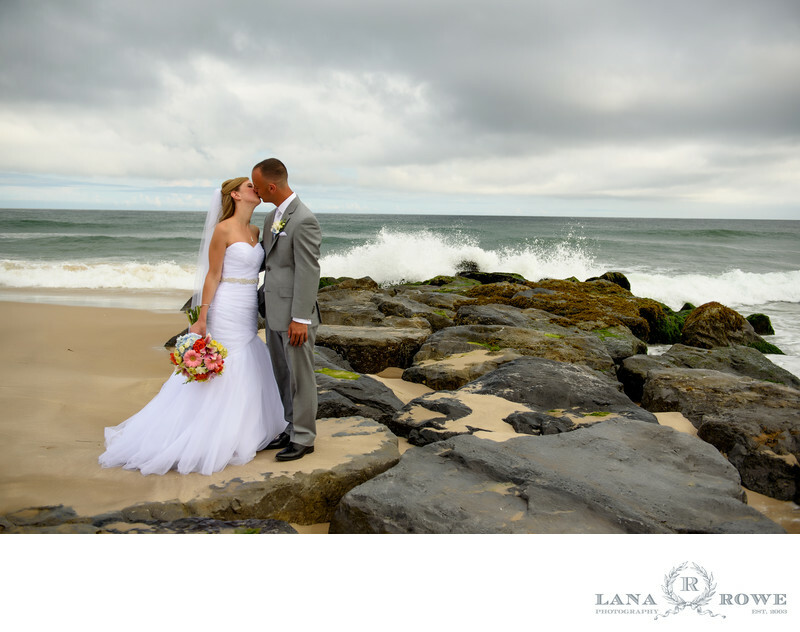 "One of the best decisions my husband and I made for our wedding was choosing Lana Rowe to do our photography. Lana and her crew were an absolute pleasure to work with. They were professional and friendly and beyond talented! They captured our day and our family and friends perfectly. Lana’s attention to detail is immeasurable and we were blown away by the variety of shots with different expressions, poses and angles. On our wedding day there was an issue with the limos that had our parents arrive an hour late for pictures. Lana handled it like the professional she is and made sure we got all the shots we were looking for without sacrificing any of the quality. You never know how important a photographer is to your wedding day until it happens. And when it happened for us we knew immediately that we had chosen right. I highly recommend Lana Rowe Photography for any and all important events that you want to save for a lifetime!!! THANK YOU LANA ROWE PHOTOGRAPHY!" "Lana and her team were such a pleasure to work with! She was able to capture such amazing memories and beautiful details of our wedding day that we can cherish forever. Lana made me feel comfortable in front of the camera and she gave great recommendations for photo opportunities. She also put together a beautiful album! I highly recommend her!!!"